Beret, originally uploaded by indiaeden. 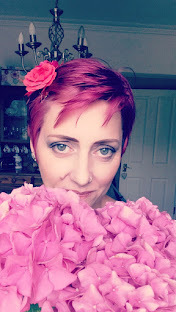 On my list of things to do today I wrote "make something pretty". I thought it might stop me crying. So, here are all the pretty things I've made today. 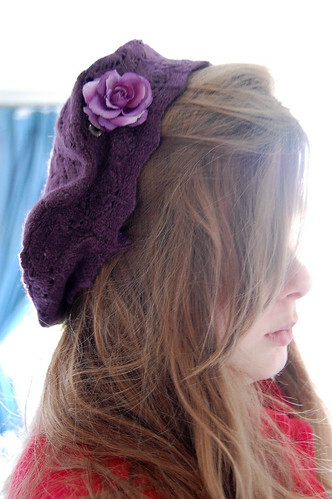 Firstly this beret for India, made from a felted sweater,with a little purple flower hair clip to keep it in place. I also made some wrist warmers from the same fabric. 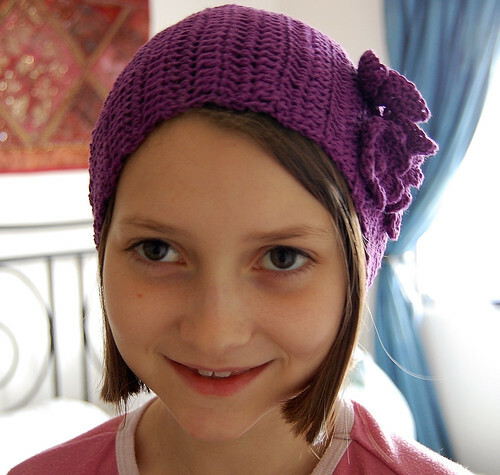 Then I remembered that my friend Vanessa had crocheted these lovely ear warmers for my girls last year, and I still hadn't sewn them together, can't believe it took me until now! Finally I made myself a cotton petticoat. This was on my sewing list last winter,but once I was pregnant I didn't need one. I plan to wear this under my winter skirts for warmth, and a bit of shushy girly ness! 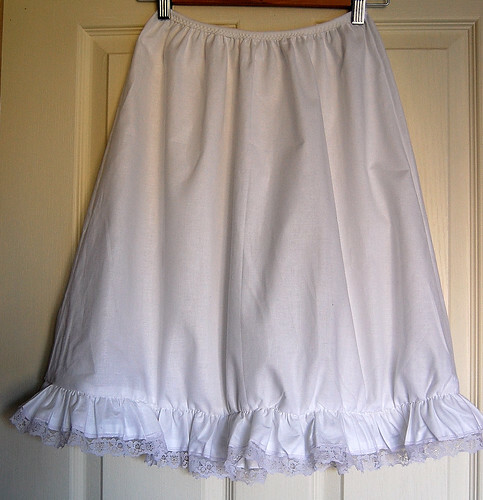 I used my usual A line skirt pattern,with a ruffle, some lace and a simple elastic waistline. (trusty old fold over elastic). So, there ya go, it's not all tears all of the time. Do you remember the tv series House of Elliot? Eden looks like she's walked straight out of there (and that's a compliment, because I was a huge fan of House of Elliot). Sending you lots of hugs. I read all your posts and often can't comment for fear of saying something that isn't right. Just know that every day I think of you. glad you have had a slightly better day, the girls look lovely in their creations. Hope you all manage to get some rest and peace in Cornwall. I like the wrist warmers too. You are an excellent upcycler! Gorgeous. 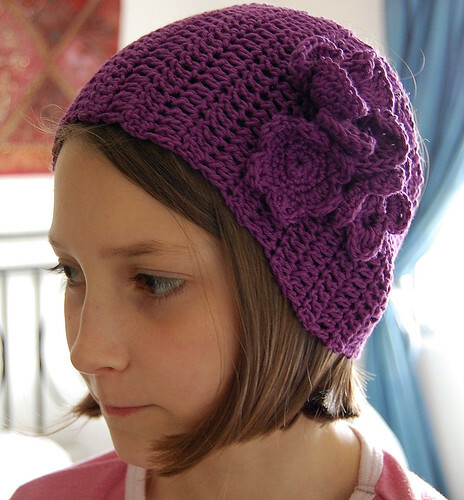 I especially love the crochet hat (crochet is my craft of choice)! I love all the purple gorgeousness ! oooo I love love those arm warmers! I hope you can find sanctuary again during the school holidays. 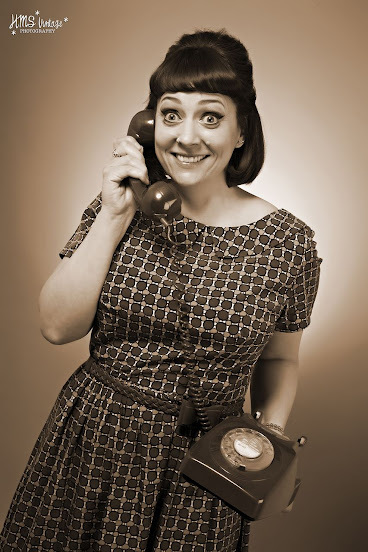 very cool to wear a swishswish petticoat like that in winter. 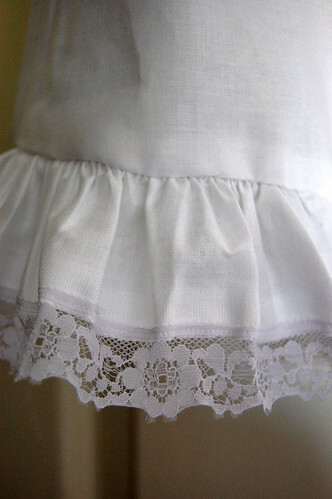 Love the petticoat. I want one. So sorry to hear of your loss. It's really good that you have this community to lend you some extra love at this time. When my brother took his life in February, the comments on my blog were a large part of my comfort (and my dad's comfort, even).